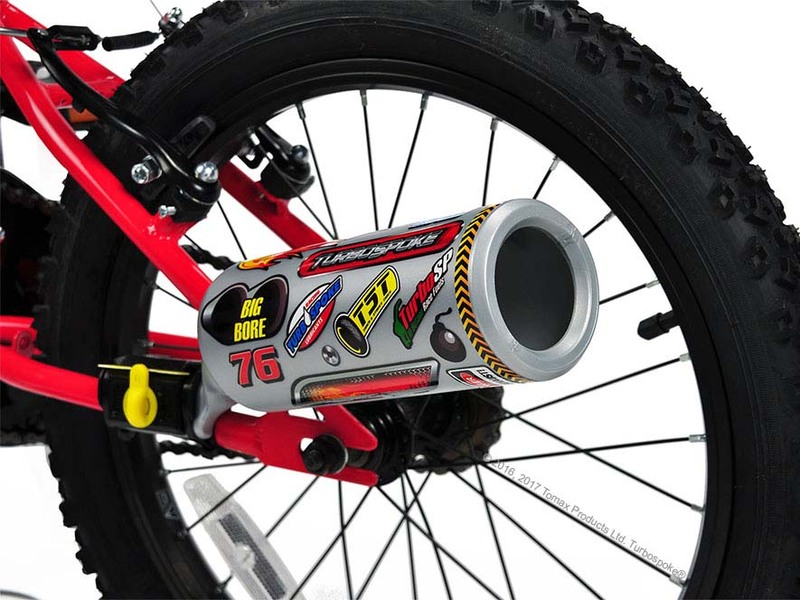 Transform any bike into a cool motorcycle! Is it a bicycle? Is it a motorcycle? No, it's a TurboSpoke! 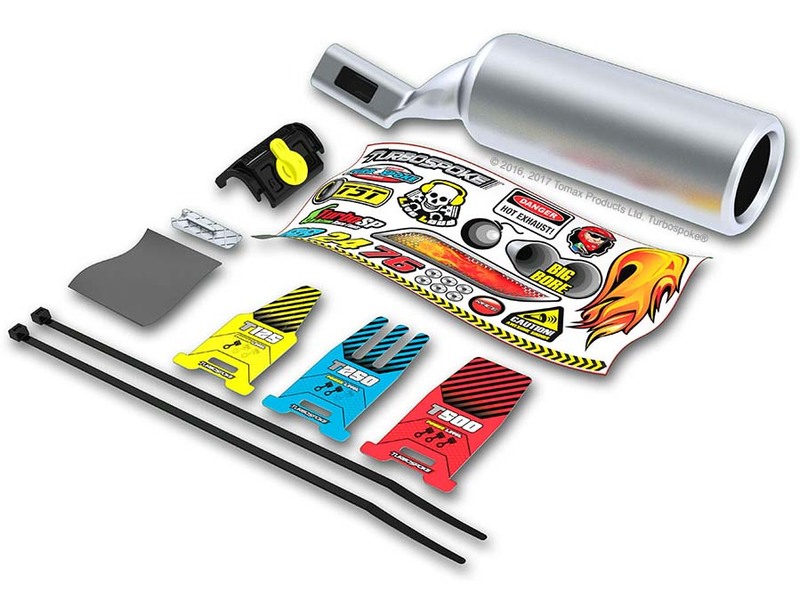 The TurboSpoke exhaust system will allow you to give almost any bike the cool look and sound of a real motorcycle. And just in 5 minutes, thanks to its handy installation system. 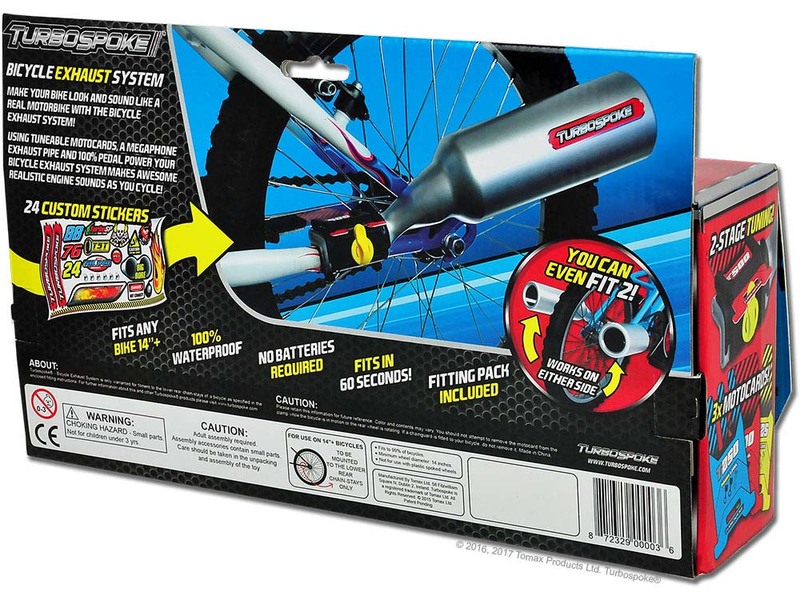 The Turbospoke comes with three waterproof sound cards allowing you to determine which sound is best for your hot rod. 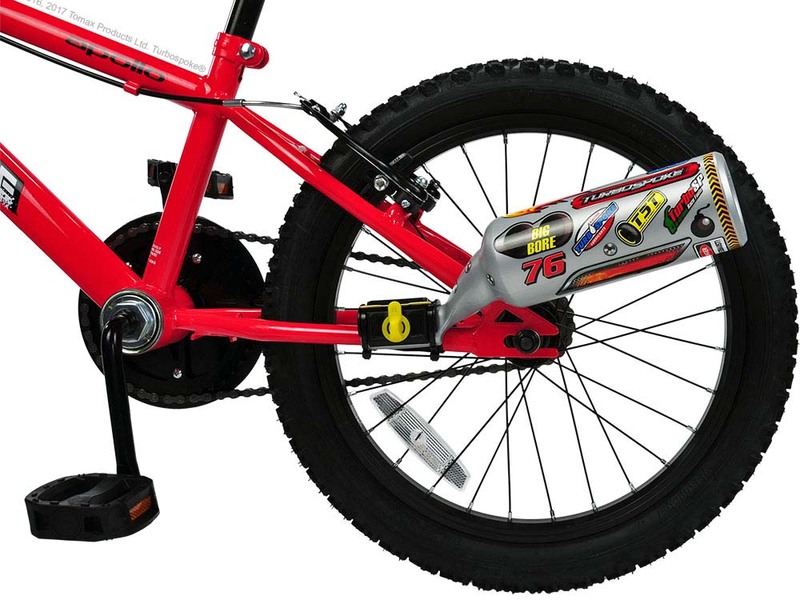 Wild bicycling escapades are not a problem, after all the exhaust is attached with an effective clamping system. Pedestrians will jump out of the way when they hear you coming! Because thanks to the incredible amplifier in the TurboSpoke you will sound like a real 4-tact engine tearing along the road. 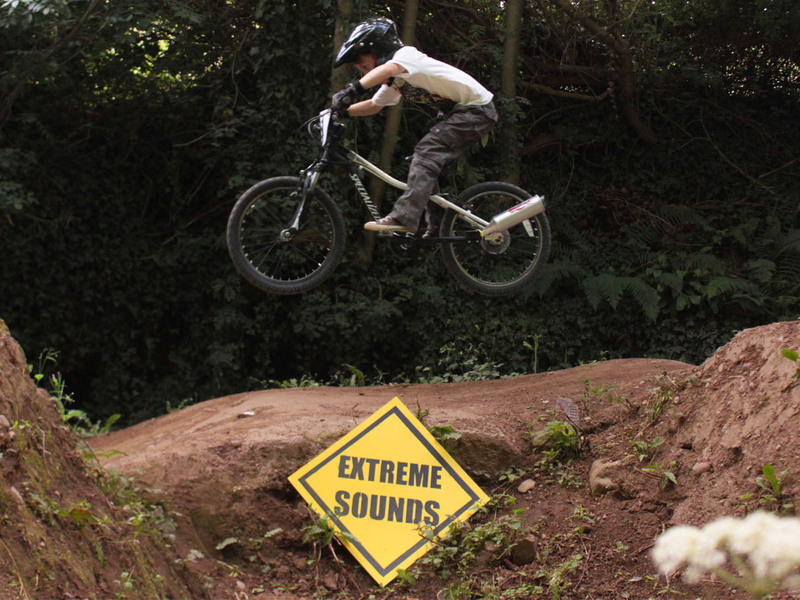 Moreover the sound will change if your bicycle gets faster or slower. Do you think the exhaust pipe isn't cool enough? No problem! 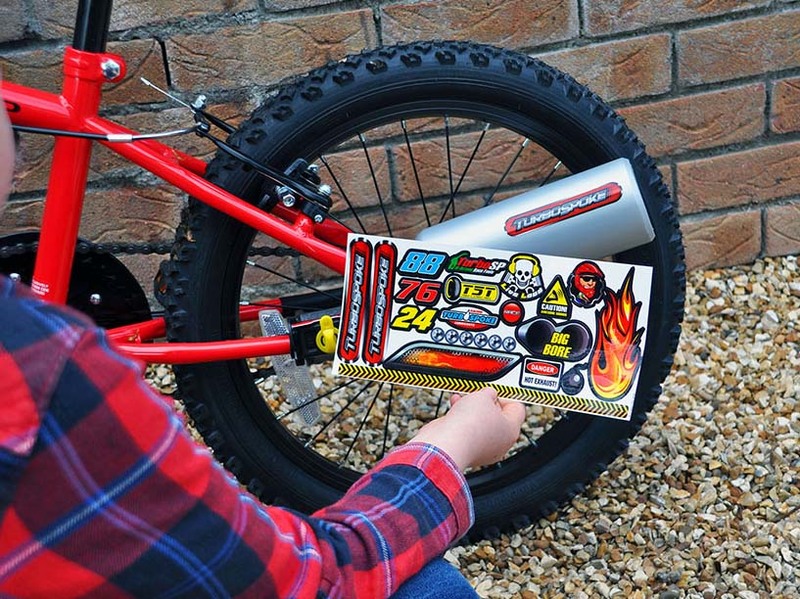 The TurboSpoke comes with 15 cool stickers to change the design to your taste! Be the Terror on Wheels in your street!